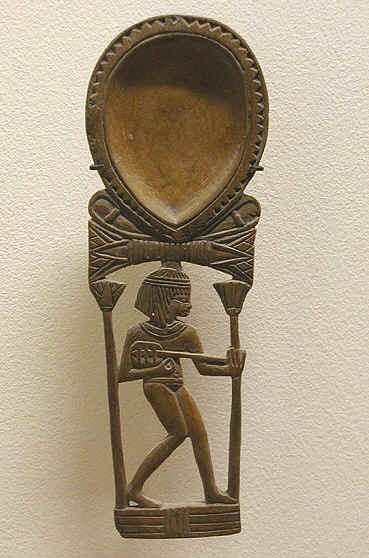 A spoon with a handle in the form of a young lute player. 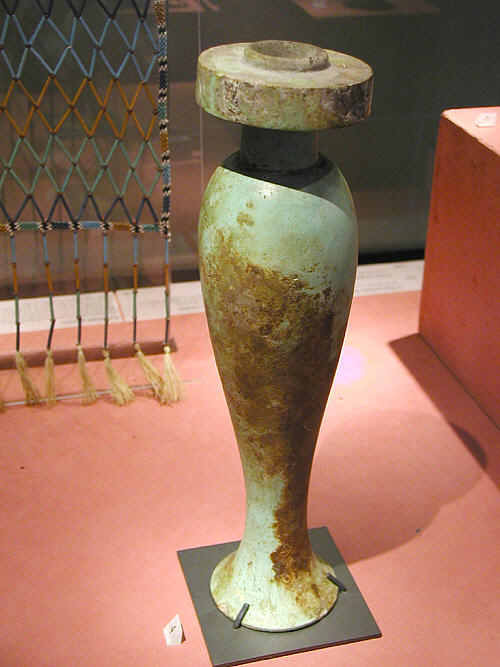 18th Dynasty. Louvre Museum, Paris, France. 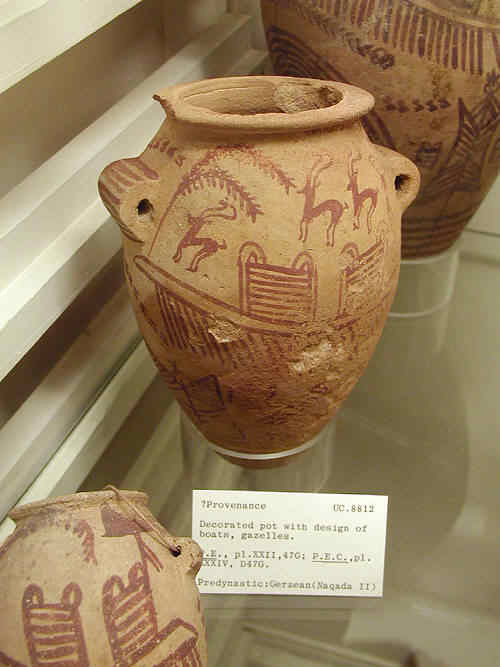 An offering vase from the 25th Dynasty. Louvre Museum, Paris, France.